HANOVER, In. – A game featuring 15 penalties will always be called ugly but there is no such thing as a pretty loss. 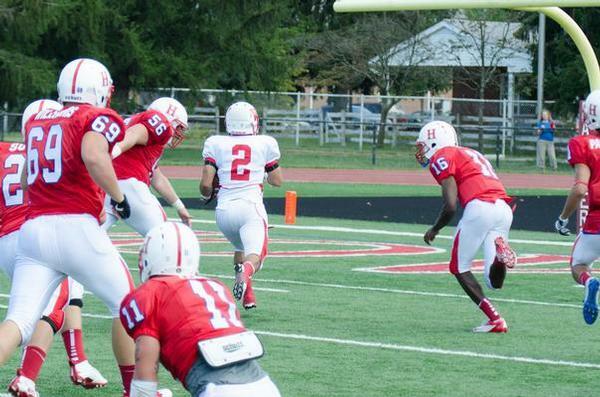 Instead, Wabash College’s Little Giants will take Saturday’s ugly win, 33-12, at Hanover. The fifth-year coach had reason to be unhappy after watching his Little Giants get whistled for 15 penalties and 152 yards. But he also had reason to be pleased with a defense that played well in the first half and responded to a challenge in the second. The game also featured a bright showing by several newcomers. A game of great plays, personal fouls, and missed opportunities swung in the fourth quarter after the host Panthers pulled to within a touchdown with just under nine minutes to play. 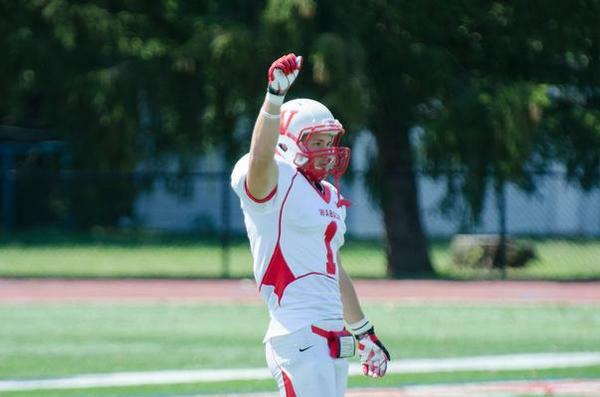 Colton Zeck caught a two-yard pass from Dexter Britt to give the Panthers hope of an upset. 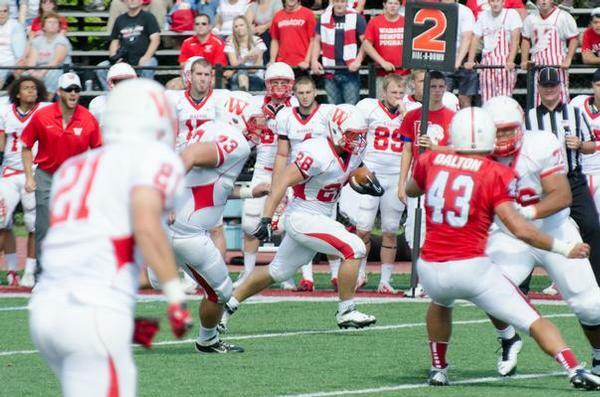 The hosts couldn’t execute the ensuing on-side kick attempt setting up Wabash with a short field. Quarterback Chase Belton completed a 17-yard pass to freshman Eddie Cmehil and then another to running back Troy Meyers for 17 more. Meyers carried three times for 24 more yards. 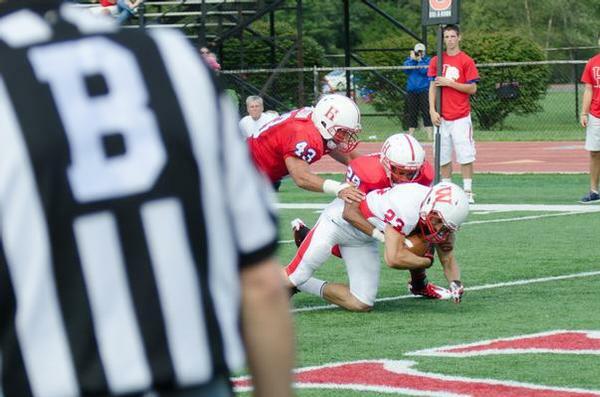 Sean Hildebrand then caught a short Belton pass and fought his way across the goal line for a 7-yard score, 26-12. 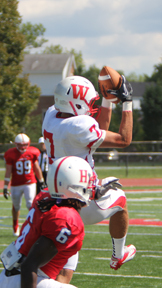 The junior receiver had six catches for 77 yards and finds himself in a leadership role this season. 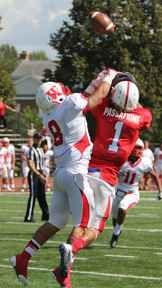 Wabash quickly put the game away after Hildebrand’s touchdown with a defensive score on the following Panther possession. 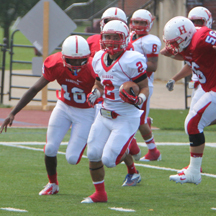 Austin Hodges returned an interception 39 yards for the final score. 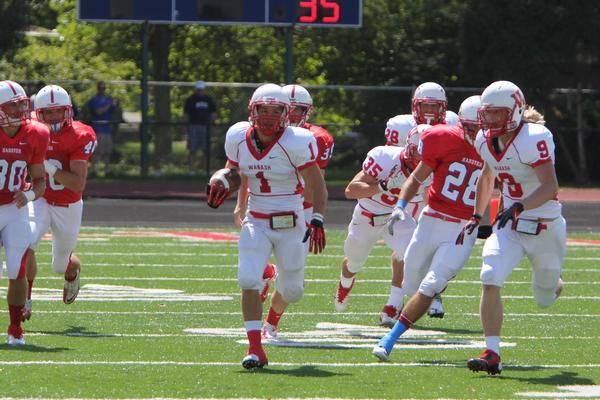 Despite the ebb and flow to follow, Wabash opened strong scoring on its first possession. 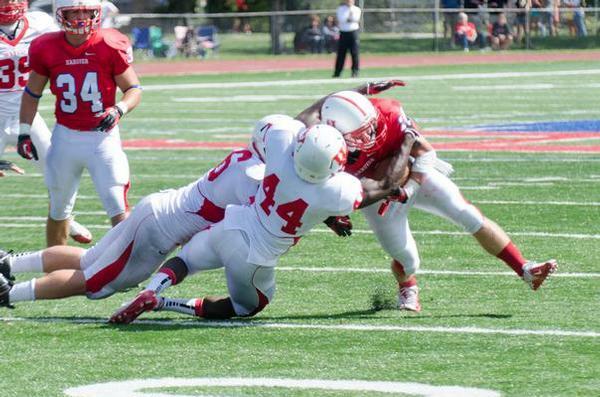 Junior college transfer Jon Laird had an immediate impact catching two passes, the second an 18-yard score. 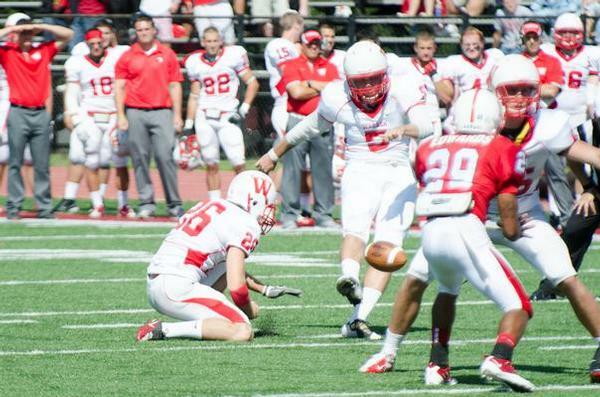 Wabash got back on the scoreboard on an Ian MacDougall 36-yard field goal, 9-0. 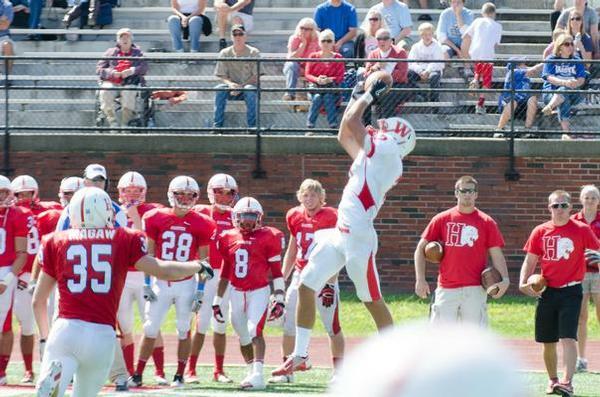 Hanover’s Pre-Season All-American Daniel Passaflume scored on a 10-yard catch to make it 9-6. 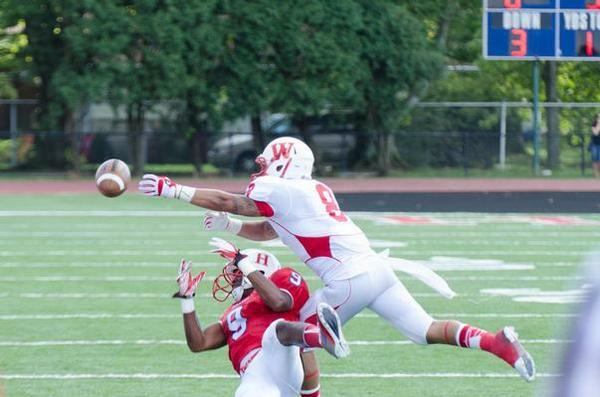 Then former defensive back and now wide receiver Andrew Gibson made a nice move and found himself wide open for a 49-yard pass and run to put Wabash up 16-9. 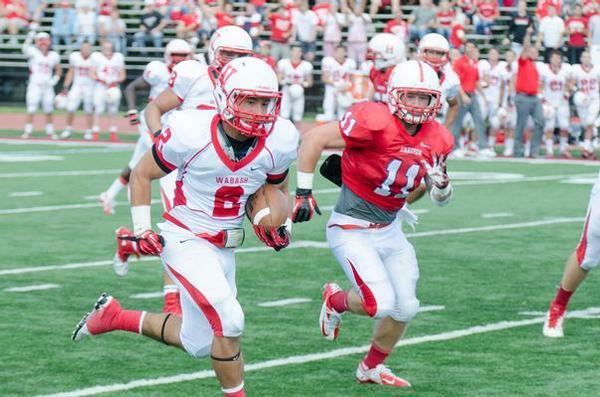 Wabash did generate 356 yards of total offense, most from the passing game’s 327. Hanover mustered just 11 yards rushing and 211 passing. 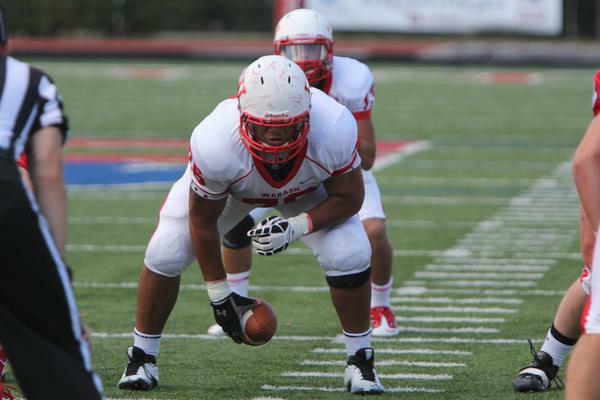 Belton hit on 25 of 32 passes for 327 yards and three scores. 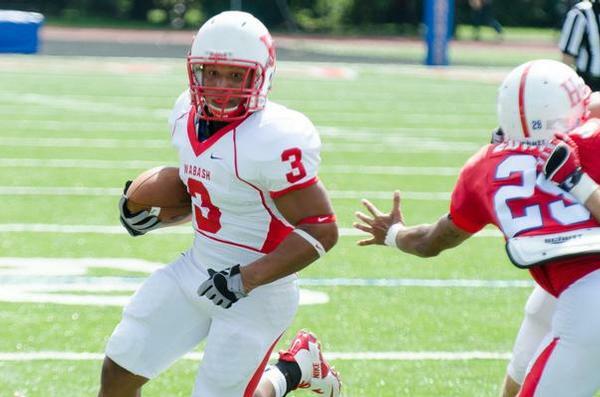 Meyers rushed for 43 yards on nine carries. 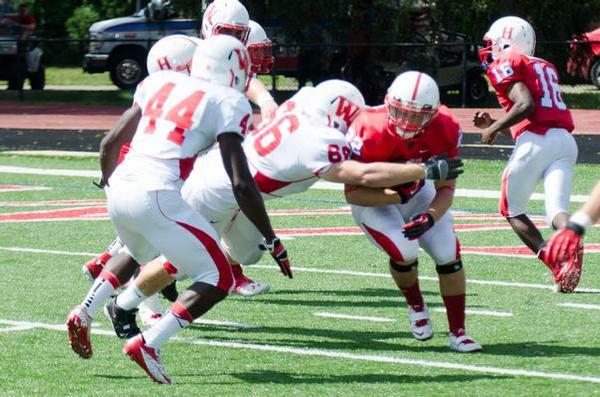 Jonathan Koop led Wabash with 12 tackles. A.J. 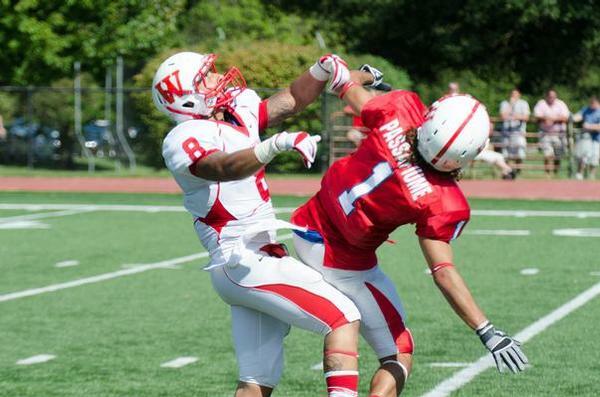 Akrinbade had nine tackles and an interception. Pat Clegg and Nate Scola added seven and six stops, respectively. 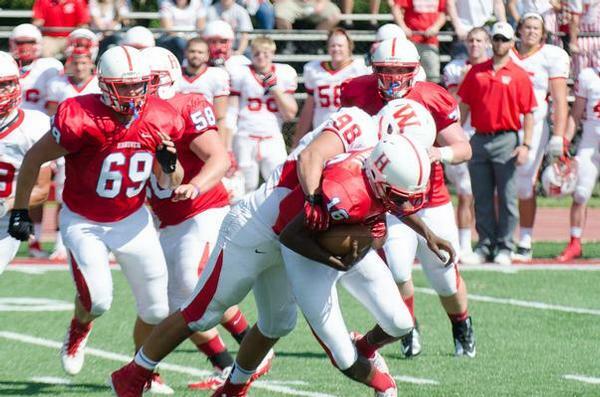 Wabash (1-0) will open NCAC play Saturday at Denison.